Calculating Income for a Short Sale is There a Dual Standard? December 23rd was the frustrating end to a five-month attempt to complete a short sale. We listed the property in July and executed a contract in early August. While we worked the package with both lenders, our first buyer walked. We quickly found a new buyer who was more than willing to wait for us to get this done. There were two liens with two different banks. The second was fine with $3000. The first (who will remain nameless) was willing to work with us but bounced our file from negotiator to negotiator. Of course, we continued to provide updated documents and various affidavits. We also had to release the home form the bankruptcy so we could move forward. While slow, we were making progress. In the final week, things took a turn for the worse. The negotiator took the last two pay statements we provided and came up with a monthly income that was $1000 over what we had submitted. One of those two pay statements showed $800 in overtime pay. The seller is a police officer and had moonlighted at some local football games to make a few extra dollars. The bank averaged the two pay statements and added the extra income from the football games to arrive at a net monthly pay. I discussed the issue with the negotiator and her supervisor. They declined to reopen the file and it will be sold at a Trustee Sale on January 4th. Let’s look at their logic. 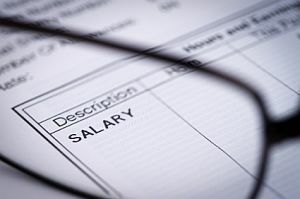 The December pay statement with the overtime pay showed YTD gross overtime of $2200. Clearly overtime was very rare. An originating lender would have not allowed it to qualify for a mortgage so why should we use it to undo a mortgage? I argued that $2200 gross was about $1750 take home and if they felt the need to include it, they should divide it by 12 and add the result to the monthly figure. This would have added $145 to his monthly take home. The football pay is $195 gross for 10 games or $1950. After taxes, the take-home is about $1500 or $125 a month. Neither overtime nor the football pay may exist in the future and we would have ignored it on the origination side unless we had a letter from the employer stating that the pay would continue. I’m normally very supportive of the banks, but in this case they have applied a dual standard to accounting for income. If they had followed the origination standard they would not have allowed any of the income. Even if they used the annual figures (converted to monthly), the seller would have been negative cash flowing and they would have approved the Short Sale. Lose, lose, lose, lose. The seller has a foreclosure on his credit report, the bank has to foreclose and incur the costs to sell the property (likely for less than the Short Sale offer), the investor takes a greater loss, and the current buyer has wasted 3 months waiting on this to be approved. 1 comment to Calculating Income for a Short Sale is There a Dual Standard?